AFP Consulting, LLC - Jock Tax Professionals | Is the Price Right? David Price’s $217 Million contract with the Red Sox surpasses other starting pitcher’s recently signed contracts however, where does the contract’s net present value place it in comparison? This week David Price signed a seven year $217 million contract with the Boston Red Sox, while Zack Greinke, who optioned out of his contract with the Los Angeles Dodgers, signed a six year deal with the Arizona Diamond Backs for $206 million. Price and Greike’s contracts have drawn comparisons to that of other recently signed contracts for starting pitchers, specifically Clayton Kershaw’s $215 million contract signed in 2014 with the Los Angeles Dodger and Max Scherzer’s $210 million deal inked with the Washington Nationals last January. Although it would seem that all four deals are similar in value, unfortunately the monetary amounts reported do not reflect the true value received by the player. The real question to examine is not which player received the largest gross dollar amount, but rather, who received the greatest true net value? Though media outlets report the terms of player contracts in gross dollars and agents are paid to maximize the overall contract value for their clients, these numbers are not truly indicative of a contracts actual pay-out. In order to determine the true (or actual) value of a contract, the net present value formula represents the best approach in determining the actual value received by the athlete. While the gross value of player contracts is easily obtainable, determining the net present value or true value takes considerable analysis. In order to determine the true value, there are two items which need to be taken into consideration – tax liability and the time value of money. While all athletes incur federal tax liability on their earnings, their exposure to state and local taxes will be directly correlated to their team’s home and away schedule. Therefore, David Price, while pitching for the Red Sox, will not only be taxed in Massachusetts at the resident tax rate of 5.15% – he will also be subject to non-resident tax in each jurisdiction the team plays. 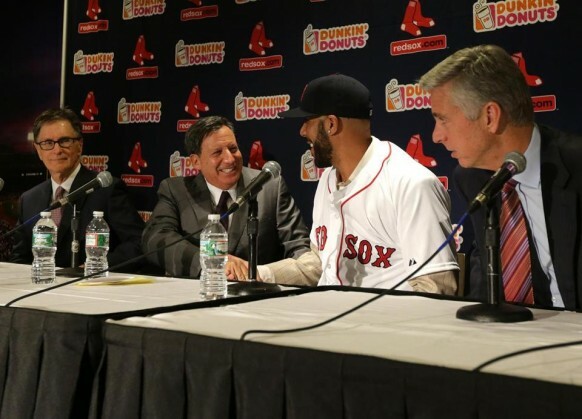 In 2016, the Red Sox and Price will perform services in 18 different jurisdictions. Price will be exposed to non-resident state and city taxes ranging from a low of 1% (Kansas City) to a high of 13.3% (California). By analyzing each team’s home and away schedule, a player’s unique tax liability can be determined. As the chart below indicates, Kershaw, who is a resident of California, faces the highest percentage of tax among those being compared, as he retains only 48.95% of his income while Greinke, a resident of Arizona, retains 53.15%. The general principle that states: the value of a dollar received today is more valuable than a dollar received tomorrow – because of the ability to invest that dollar, plays a significant role in analyzing the overall value of a long term contract. Over the past ten years the S&P 500 has increased at a rate of 7.4% while the consumer price index (CPI) since 2010 has increased by 1.8%. By averaging the two indexes and using 4.6% as a discount rate, we can convert dollars received in the future back into today’s dollars to compare the current value of each long-term contract. A good example of how the time value of money affects actual contract values is Max Scherzer’s contract. Although Scherzer’s gross contract value and tax liability is similar to that of Price and Greinke, $105 million of his contract is deferred to after the expiration of his deal and therefore the present value of his contract is worth considerably less than the others. Although it may not be a surprise to see that David Price’s contract has the highest true value – It’s noteworthy to see how close Zack Greinke’s true value is to Price’s contract. It should also be pointed out how negatively affected Clayton Kershaw’s true value is due to California’s high tax rate and how Max Scherzer’s deferred compensation lowers his true value to the lowest amongst the four comparable players. Understanding the true value of a contract is vitally important and would benefit each side of a negotiation. Teams need to quantify the monetary leverage that their team’s unique tax situation creates for their players. Teams in Florida, Texas, Tennessee and the state of Washington have an advantage in that these states collect no income tax. In contrast, teams in California, Minnesota, New York, Ontario and Quebec need to understand that their high tax rates cause them to have to pay at a premium. By quantifying either their advantage or disadvantage a team can systematically adjust their contract proposal depending on the individual player and the opposing teams in competition for the player’s services. It is important for individuals who represent athletes to understand the potential tax consequences their clients face. Understanding state residency issues, as well as tax rates and reciprocal agreements will limit the liability that their clients are exposed to. In the end, the money an agent can save their client is equal to the additional money they have generated for them.